It’s difficult to explain why I want to be a giant, furry tree-dwelling monster, but My Neighbour Totoro just has that effect on me. Written and directed by Hayao Miyazaki, it was the first Studio Ghibli film I ever saw, and I’ve since worked my way through them all. I return again and again to My Neighbour Totoro for lots of reasons. There’s the beautifully drawn landscapes that jump alive at every turn, there’s the two sisters, Mei and Satsuki, and their wide-eyed wonder as they explore their new home, and then there’s the fantastical wood spirits that just happen to live in the trees next door. It’s Mei who first follows two mysterious rabbit-like creatures through the undergrowth and into the hollow of a large camphor tree. There she finds the sleeping Totoro. He’s this vast bulk of fur, but Mei merrily bounces onto his belly and clings to him, giggling, as he slowly wakes up and roars like a gale force wind. I love the fact that she’s not at all scared of him, but instead just asks him his name. 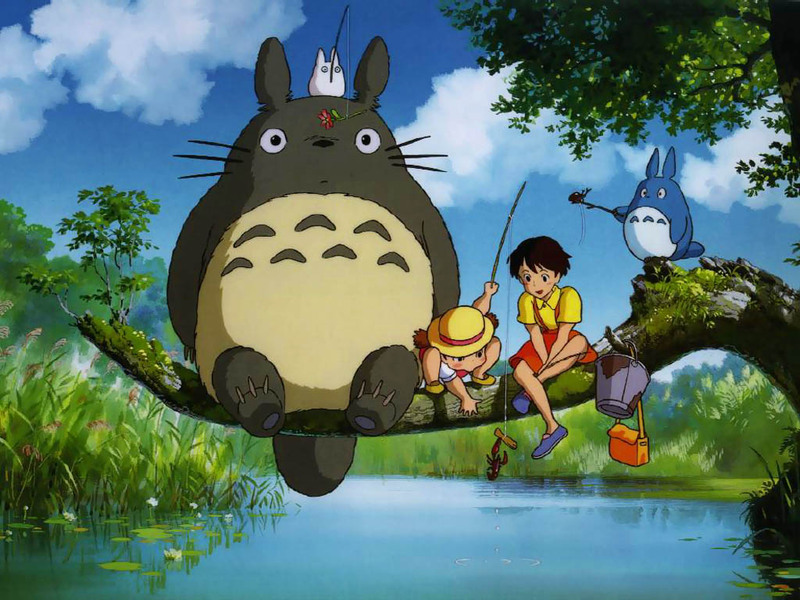 Totoro is a completely surreal creation – a Cheshire cat mouth with bristling black whiskers, pointed rabbit ears, and despite his considerable girth he can perch on a branch like a wise old owl. And of course he has magical powers and makes seeds grow into trees overnight, and he can levitate over the earth on a tiny spinning top, and he has a Catbus. Oh yes, when Mei disappears and Satsuki asks Totoro for help he summons a grinning giant cat with a surprisingly spacious interior who bounds across the countryside to find little Mei. I want to be Totoro and ride on the Catbus, and fly on a magic spinning top over endless rice fields. Who wouldn’t? The Book of Lies by Mary Horlock is published by Canongate.